You've figured out your blog name, picked a design, chosen categories, and selected topics. Now you're ready to create content and launch your blog. If you have a plan you can easily launch your blog and have a more successful launch. What do I need to do to launch my blog? How many blog posts should I have ready for my launch? Those are good really questions and there are many answers. While the answers I see vary because they are based on each responders experience, there is one commonality - you need to have a plan for launching your blog. With a plan, you'll know what day and time your blog will launch and what preparation you'll need to do leading up the launch. I didn't have a plan and as result, I didn't have what I would call a successful launch. 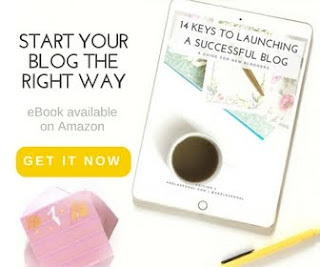 I don't think a successful blog launch means you have hundreds or thousands of visitors within the first few days or even weeks of launching your blog. 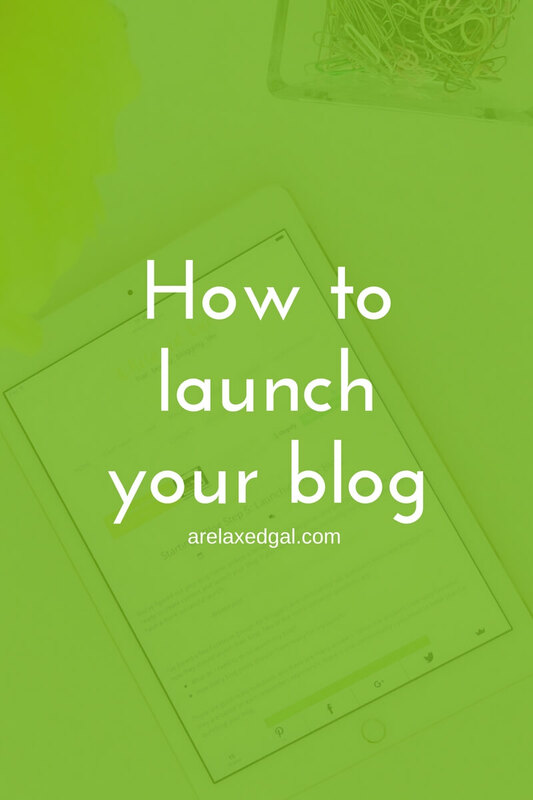 I categorize a successful blog launch as one where you have built-in followers, ready-to-go content and see steady growth after your launch. I didn't have enough content. No one knew my blog existed. I also didn't have any kind of social following. If I could do it again, I would do it differently. 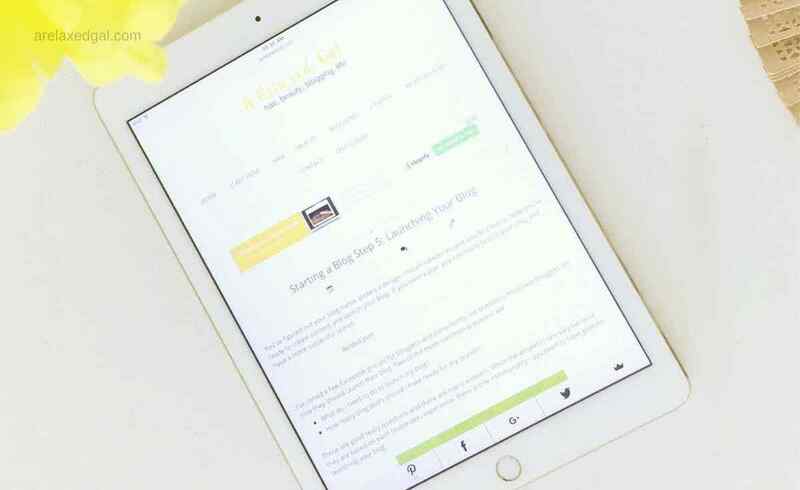 Here are five tips I've gleaned from various sources and my own experience from my blog launch. By this point, you've probably selected what social platforms you want to use for your blog. You may even be thinking "I'll set them up and launch them the same time as my blog." I'll tell you a secret, you don't have to wait. Go ahead and set them up. Social media is a great way to promote your content. But only when you have people following you. Don't worry that you don't have content yet. You can build your following by posting content that falls within the categories for your blog. You can get this content from blogs, pinners, and tweeters you follow. Then once you have content you'll have people to share it with who see you a source for info. Making them more willing to visit your blog and even share your content. A great thing about being a blogger is that bloggers support other bloggers. So before you ever hit publish on your first post you should consider creating connections with other bloggers. This can be through following and conversing with them on social media. Or commenting on their blog posts. When I started my blog it was focused on relaxed hair. So I started following other blogs that talked about that subject whether they focused on it or not. I would comment on their posts and share their content. You can even reach out to them about guest posting on their blog. To make these connections look for blogs that are similar to yours. These are blogs that have similar categories and topics to yours. You can find them through web searches, Bloglovin, and even Pinterest. This is a great thing to do especially when you've started building a following. It helps create hype and anticipation for your blog. There are a couple of ways you can do this. The first way it to tease your blog launch on social media. This can be done, by posting images or graphics similar to what they will find on your blog. The second is to create a coming soon page. If you're active on social media prior to your launch and have some followers, you'll want to take them somewhere and have something for them to see. This coming soon page can include the name of your blog, mission statement, the date of your launch. A fun thing to do is to include a countdown. Having this page helps build anticipation and lets visitors know when they should come back. Using your editorial calendar, start creating your content. Not just content for the launch, but after. After launching you may want to spend more time on promotion than content creation so it's helpful to have 1-2 months worth of content pre-scheduled. To help your launch go smoothly it can be helpful to do a QA of your site and posts that will be used for your launch. This way you make sure links works, your navigation drives to the correct pages, your site looks good on mobile. You can also check for and correct any bugs, coding or formatting issues. What are your tips for launching a blog? Thanks for reading Kathryn. I like the idea of leaving some openings in the editorial calendar. What do you use for your edit calendar? Great tips Leah! 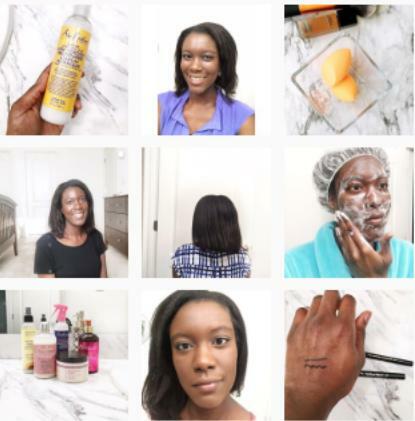 I definitely reached out to other bloggers before i launched. Reaching out to other bloggers is so important. While it I did it before my launch I didn't realize how important until after my rebrand. How did you find the bloggers you reached out to before your launch? Honestly Leah, this series is really great and I'm going to refer EVERYONE who wants me to sit down and walk them through the process to this series. Its so much better and easier for people to read the information and have something to refer to and so far, you've really hit all the points I would make. Great job! Thanks Ebony! So glad you found it helpful.